You are a firefighter and you are the end of your rope, and you can’t take it any much longer. You are suffering from anxiety, depression, guilt or some other fear related issue and you feel there is no hope. Although things may seem difficult suicide is not the answer to your personal struggles. Here are six reasons why suicide is not the solution to your problems. 1. Things Change Over Time. Regardless of your situation, things do not stay the same. You may feel very bad today, but it won’t last forever. Remember this fact: Regardless of your current situation, everything changes over time. This includes your current situation. Nothing remains the same forever. Meeting called to order by President Diane Hanes at 9:00 a.m.
Diane Hanes, Galt FPD; Jessica Miller, Norborne FPD; Theresa Cox, Wentzville FPD; Sheri Berendzen, Cole County FPD; Chris Slaughter, Warrenton FPD; Ann Jones, Madison West Monroe; Joyce Thompson, Kearney Fire; Brenda Wright, Shelbina Fire; Missy Erdel, Little Dixie FPD; Kay Asher, Wentzville FPD. Diane asked if there were any changes or comments for the December 2018, meeting minutes. Sheri mention that the date was wrong that was submitted. Missy made a motion to accept the meeting notes, seconded by Ann, motion passed. FFAM President Hoover presented special recognition awards to Keith Wolven, Chief of Southern Stone County Fire Protection District, Chris Berndt, Chief of Western Taney County Fire Protection District and Ted Martin, Chief of Branson Fire Department (accepted by Ben Bonner) of the Branson Fire Department, for their devotion and dedication to their community in response to the Duck Boat incident on July 19, 2018. Assistant Fire Chief Kevin Hoskins with the Chillicothe Fire Department. 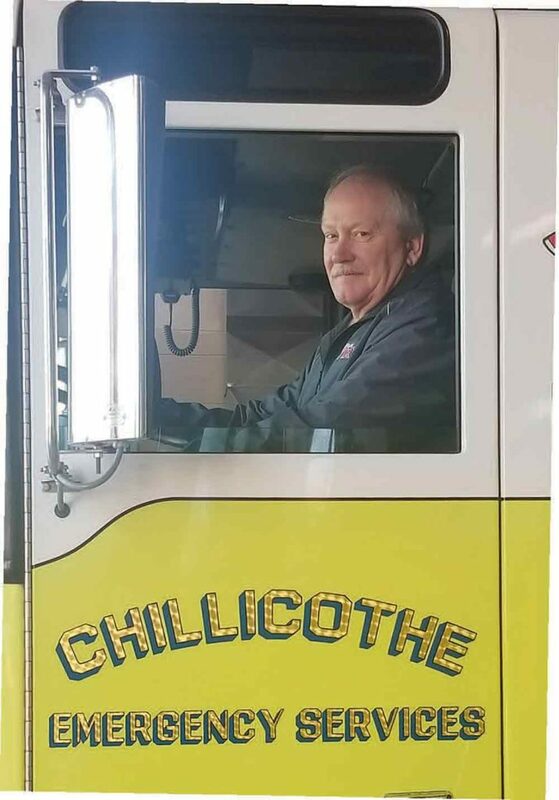 On April 1, 2019, Kevin Hoskins completed nearly 40 years of service to The Chillicothe Fire Department. Kevin Hoskins began his career with the city on September 17, 1979. During his 4 decades of service, Hoskins has held the ranks of emergency medical technician, paramedic, firefighter, lieutenant, captain, assistant emergency management director, and has held the position of assistant fire chief since April 1, 1986. He has overseen the modernization of the current ambulance service changing from basic life support to advanced life support, and has molded the lives of so many young recruits. He has taught numerous classes to many which has helped mold the future of the Chillicothe Fire Department, the emergency medical field and emergency services for decades to come. Kevin and his wife Kathleen are members of the Pleasant Grove Church. Kevin’s family includes: son Joshua and wife Jacy, Daughter Caitlin and husband Ben, Daughter Carlie and husband Adam. Daughter Stacey and husband Kyle. Stepchildren Stoney and wife Crystal, Matthew and Alex and wife Katie, 16 grandchildren, 3 great grandchildren. 6 Brothers, 6 sisters, and several nieces and nephews. Over Kevin’s four decades of service he has helped change the future of the Chillicothe Fire Department and EMS services and we wish him and his family the best. Rock Hill Fire-EMS moved into a new station in August of 2018. 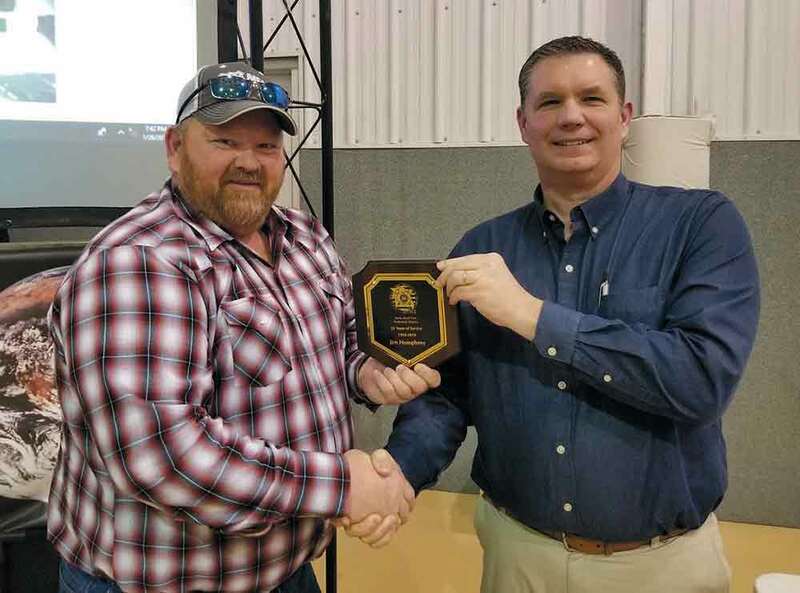 The Iberia Rural Fire Protection District held its annual Firefighter Appreciation Dinner on January 26, 2019. 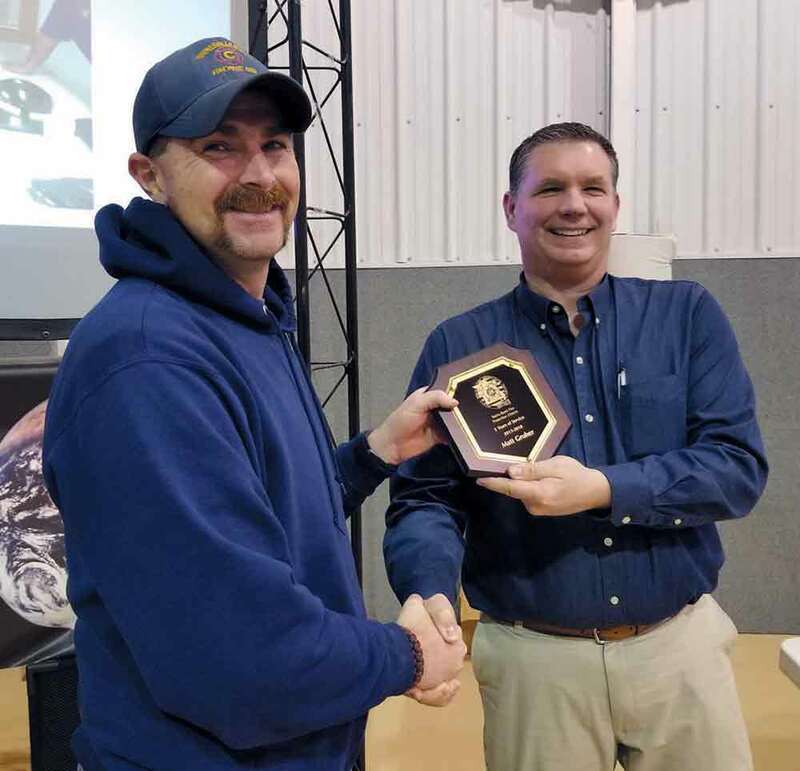 Tim Vinson was awarded the 2018 Firefighter of the Year by a vote of his fellow firefighters. Matt Gruber was given a 5 year service award. Gary Pendleton was given a 20 year service award. Jim Humphrey was recognized for 25 years of service. Fire Chief Greg Onstott reported the district had 349 calls for service in 2018. 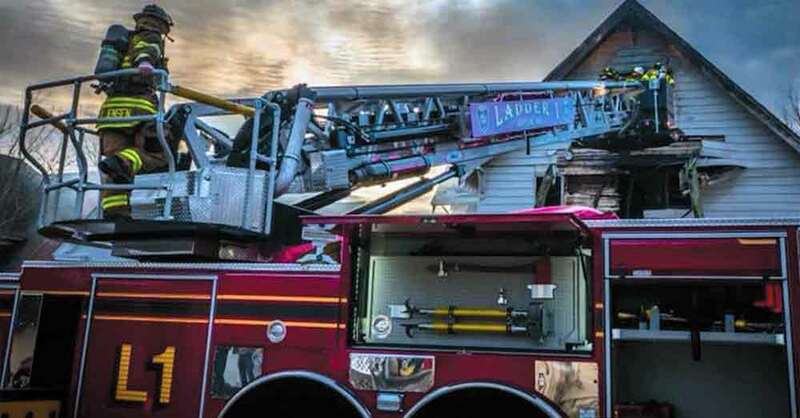 The breakdown of those calls are as follows: 19 structure fire, 2 flu fire, 8 vehicle/equipment fire, 14 natural cover fires, 28 motor vehicle accidents, and 42 other miscellaneous calls. Moberly, Missouri, firefighters and first responders gathered in Moberly to honor the firefighters that serve all of Randolph County. 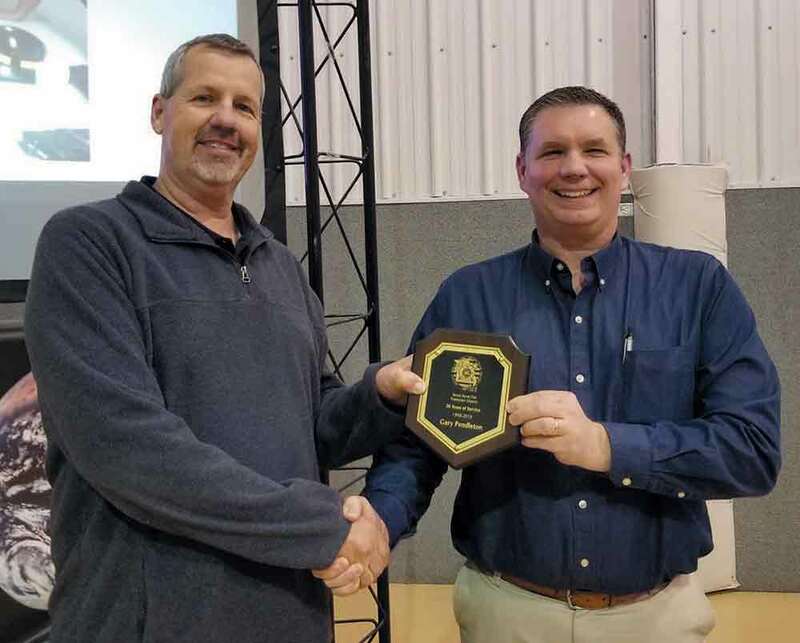 The 4th Annual Firefighters Awards banquet was held at the Municipal Auditorium in Downtown Moberly on Saturday, February 9, with nearly 200 guest in attendance. 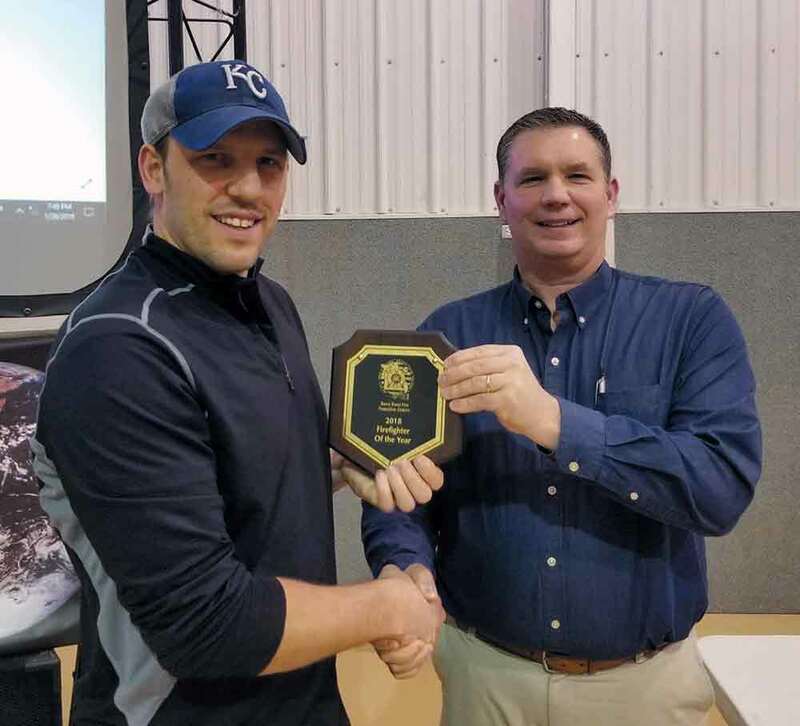 Each year for the past four years the five fire protection districts and the City of Moberly honor the men and women that serve Randolph County. Special guest speakers included the State of Missouri Fire Marshall Tim Bean who delivered the keynote address and Chief Ken Hoover of the Little Dixie Fire Protection District. The first part of this article published in the January/February 2019 issue of the newsletter would have been better suited as part two and this article part one. It seems that I got off on a tangent about the year of 1939 and didn’t do the city of Joplin justice by highlighting the total history of this very colorful and interesting department and city. Part of the fascination of the first article was the apparatus that we were featuring, the 1939 ladder truck. The modern version of ladder one shown above is equally as interesting to see in operation and more efficient than it’s 1939 counterpart. Also, slightly more expensive, the 1939 was $18,000. Now that you are completely confused, lets start at the beginning and review not only the fire department history, but the of the city of Joplin itself.